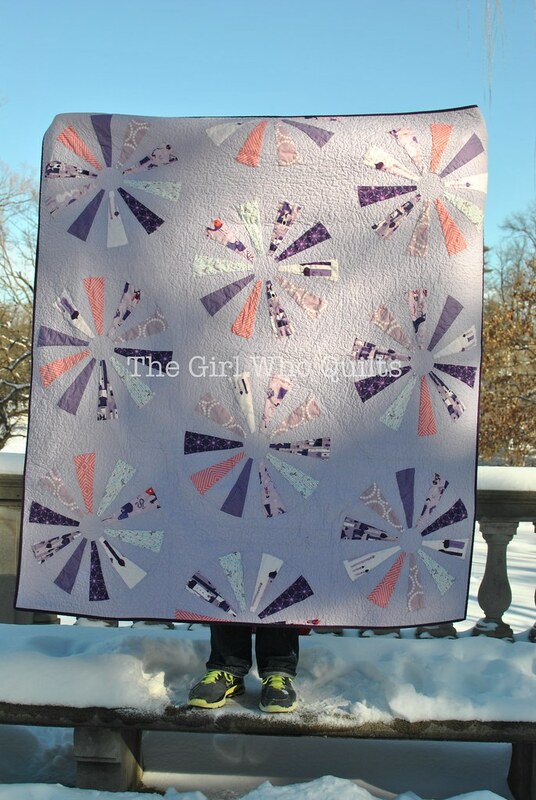 As you can tell from the pictures below, I made this quilt a few months ago. I intended to give it to my brother's girlfriend, Caroline, for Christmas, but I ran out of time. I had to set it aside and I finished it up in February, I think. Caroline loves purple, so I started by pulling out the purple colorway of 1,001 Peeps by Lizzy House. 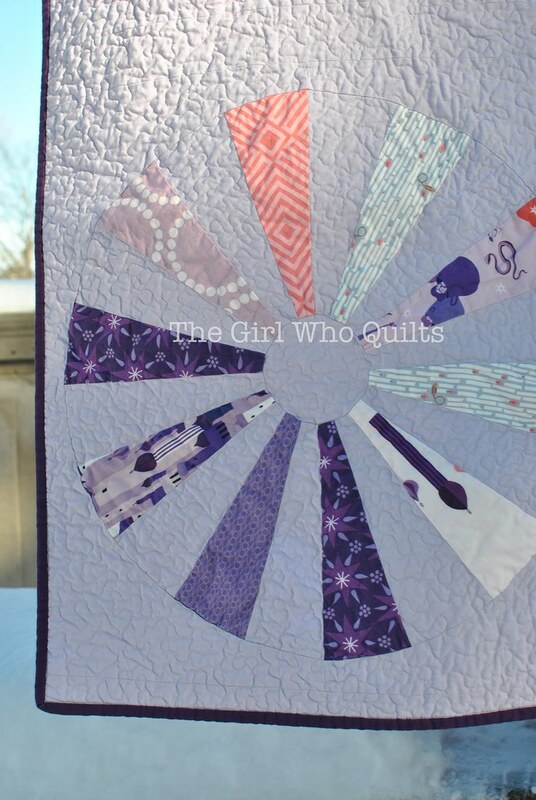 I used a pale purple for the background so that the prints and the piecing would pop. After the EZ Dresden challenge last year I had the idea to create these "sparkle" blocks. 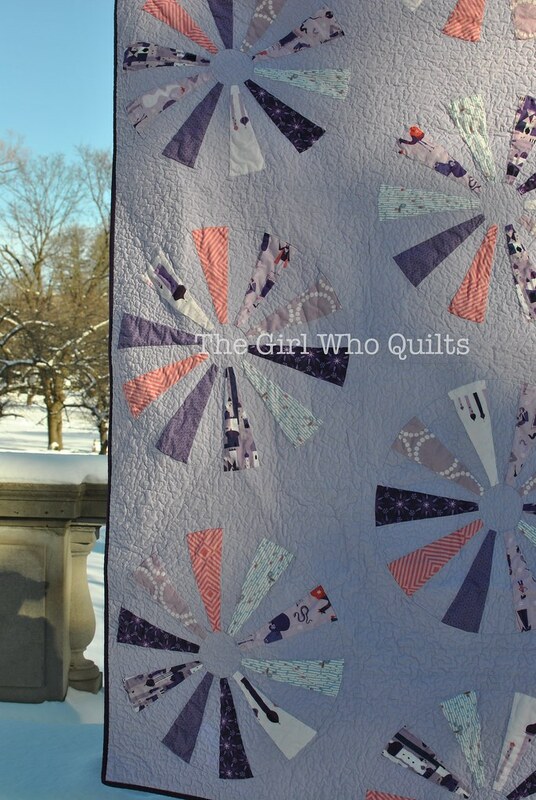 There were plenty of similar quilts in the contest, and I was really drawn to the simplicity of alternating a print with a background solid. I quilted the background in a small meander and left the sparkles unquilted so that they will "pop" a bit. In hindsight, I wish that I had stitched in the ditch around each print. It's not too visible from the front, but it is from the back. I really love all of the Lizzy House's work, and this line is no exception. Caroline is a sweet, fun girl, and I thought she's appreciate the whimsical tone of these prints. On the back I used two different purple solids and the left over prints. The binding is an eggplant color, as that's Caroline's favorite shade of purple. 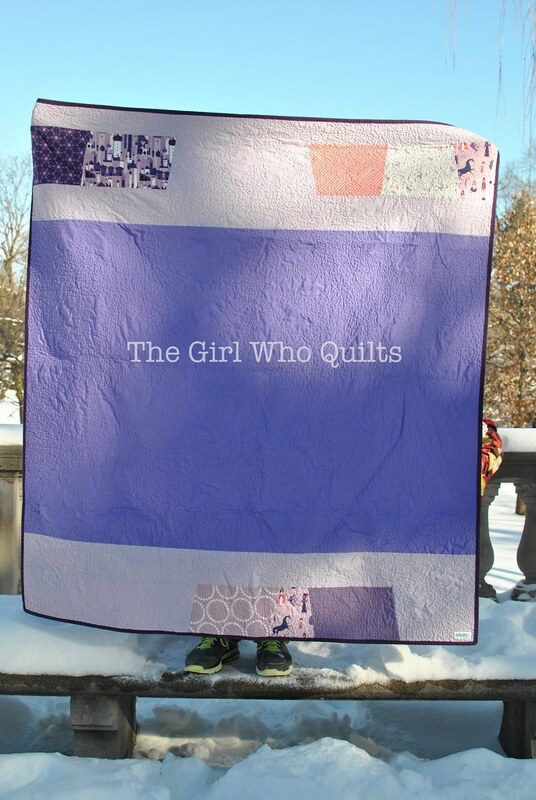 Caroline loves her quilt, and I was happy to cross this WIP off my list just before I headed off to QuiltCon! Last week I finished up two custom quilts and delivered them over the weekend, so I'll have a few new things to share as soon as I edit the pictures!